Who: 45th governor of Texas, and first women to be elected in her own right. Thought by President Clinton to be the wittiest person he’d ever met. Passionate film buff. Signature Difficult Moves: Snappy one-liners. During keynote at 1988 Democratic National Convention, of then-VP George H.W. Bush she said, “Poor George, he can’t help it. 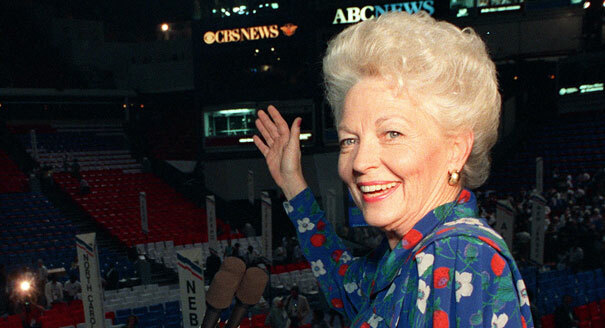 He was born with a silver foot in his mouth.” During her governorship, oversaw extensive prison reform, including substance abuse programs for inmates, supported legislation to reduce the sale of semi-automatic firearms, increased spending for public schools, instituted the Texas Lottery. Founded the slightly Zoolanderish sounding Ann Richards School for Young Women Leaders, an all-girl public school considered one of the best in Texas. Personals: Married, with four children. One of her daughters became the president of Planned Parenthood. Feminine Charms: Rocked the white hair and bright lipstick.